Here in Australia, we are lucky enough to enjoy one of the warmest holiday seasons of any country! That means long sunny days spent at the beach, and all the daylight you could ever need. But it does come at a cost sometimes. The heat of our holiday season summer makes it hard to stay hydrated. 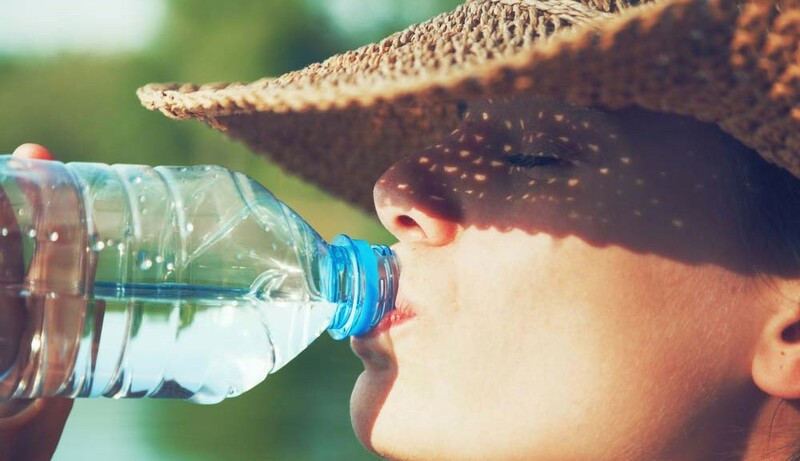 So we have listed out top tips to help you stay hydrated this holiday season. The obvious way to stay hydrated is drink more water, but that’s easier said than done! Surely it’s not that hard to stay hydrated – you just drink more water, right? Drinking more water is the obvious solution to stay hydrated. But it’s a lot harder than you think. Unless you are drinking water consistently during this time, you will not be able to stay hydrated. That’s why we have some tips to help! Fitting a water cooler in your home or office is a great way to stay hydrated. It serves as a visual reminder to drink more water, every time you look at it. Better still, it has cold water on tap for you to enjoy whenever you need a drink. Fruit and vegetables have a very high water content. In fact, a lot of fruit and vegetables are over 50% water themselves. So with the help of a nice fruit salad, you can actually stay hydrated without having to drink water excessively. But remember, drinking water is still vitally important – fruit and vegetables will help you stay hydrated, but they’re no substitute for water itself! Pay attention to your body – it will help you stay hydrated! The signs of dehydration are subtler than you may think. In fact, a lot of us become dehydrated without even realising. So we need to look at the signs to stay hydrated. The best sign is urine; it should be a light straw colour. Any darker, and you’re probably dehydrated. Another bodily sign of hydration is your skin. If your skin feels dry, you probably need to drink more water to stay hydrated. So pay attention to the signs! Muscle cramps are an indication that you need to stay hydrated, so don’t ignore them! During this holiday season, you might find that your muscles are cramping a little more frequently. That can actually be a sign of dehydration. Our muscles need to stay hydrated, just like we do! So make sure you are drinking plenty of water, especially during exercise. Are you struggling to pay attention at work? It is probably more than just end-of-year fatigue! Poor concentration and fatigue are both signs of dehydration. So try increasing your water intake to stay hydrated – the results should speak for themselves! If you’re like a lot of people, you will probably find yourself dehydrated at some point this holiday season. If it’s particularly bad, you might need some electrolytes to help you stay hydrated. Try keeping a sports drink in the fridge – it will work wonders if you have been engaged in strenuous exercise! Alcohol is a big part of many Australia Christmases. But hot weather and alcohol don’t mix as well as they seem to! Alcohol makes it much harder to stay hydrated. So try and limit your intake during the holidays – doing so will make it a lot easier for you to stay hydrated. Finally, make sure you pack a water bottle wherever you end up during the holiday season. It’s almost impossible to stay hydrated if you don’t have one on you! Stay alert to the signs of dehydration and keep up the water to stay hydrated this Christmas! Previous PostHow Drinking More Water Increases your Productivity at WorkNext PostWhat Is Spring Water And How Is It Made?